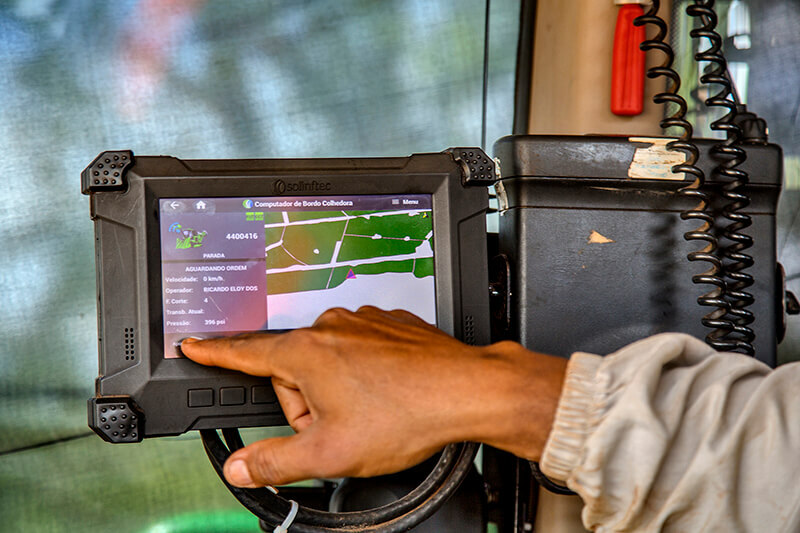 A farmer using a Solinftec Internet of Things platforms integrated into his farm equipment to harvest sugarcane. The company has created a smart ecosystem for integrated operations management to help farmers work more efficiently. Solinftec, a digital agriculture company that recently established U.S. headquarters at the Purdue Research Park and is already working with American farmers, has been named by Successful Farming as one of eight ag tech startups worth watching in 2019. 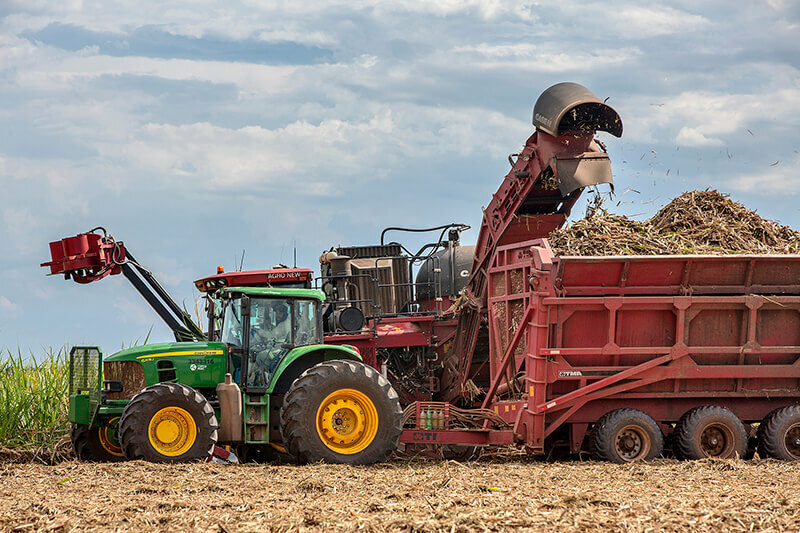 Tom Farms in Huntington County, Indiana, has already benefited from being a test site for Solinftec’s suite of apps to advance the production of row crops. The apps tell equipment operators where and when they need to be. Kip Tom, the managing member of Tom Farms, praised Solinftec in the article. Tom also talks about Solinftec in a video here. Solinftec (SOL-inf-tek) is a Brazil-based company known for making sugarcane and row crop operations more efficient by creating Internet of Things platforms to integrate and digitize all aspects of farming operations generating meaningful insights in real-time. It announced in November that it was opening offices near Purdue University to bring its technology to the U.S. market, creating 90 jobs in 2019 and up to 334 high-wage jobs by 2022. Daniel Padrão, Solinftec’s chief operating officer, said giving farmers answers quickly is key. The company offers a full stack of solutions that farmers can choose from, which range in price from $3 to $10 per acre per year. Padrão says it’s important to highlight that a great deal of thought went into its pricing to deliver a very clear and fast payback for farmers. The Purdue Research Park is managed by the Purdue Research Foundation and is the largest university-affiliated business incubation complex in the country. The Purdue Research ark manages the Purdue Technology Centers in five sites across the state of Indiana with locations in West Lafayette, Indianapolis, Merrillville and New Albany. The nearly 240 companies located in the park network employ about 6,000 people. In 2016, the Association of Public and Land-grant Universities co-named the Purdue Research Park a top recipient for an Innovation and Economic Prosperity Universities Designation for its work in entrepreneurship. For more information about leasing space in the Purdue Research Park, contact 765-588-3470 or click Purdue Research Park.